Today, I am sharing my first contribution on the Vintage Fabrics series MDC. 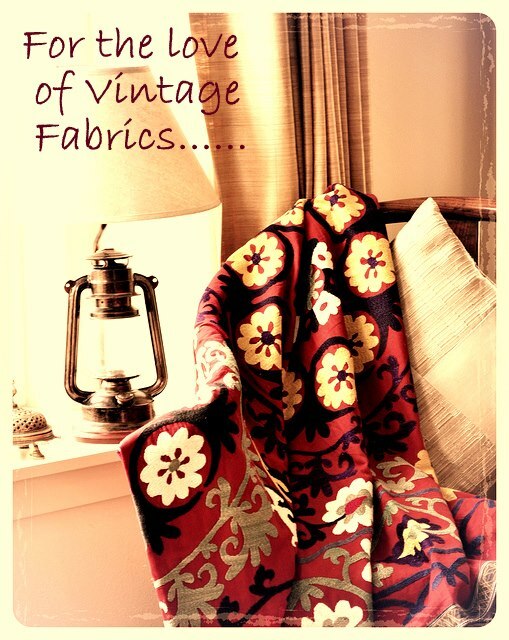 My aim here was for you to share your love for vintage textiles with me on My Dream Canvas. The fabric need not be ancient, it need not be expensive but it should be meaningful to you. You can read more about the series in my earlier post here! 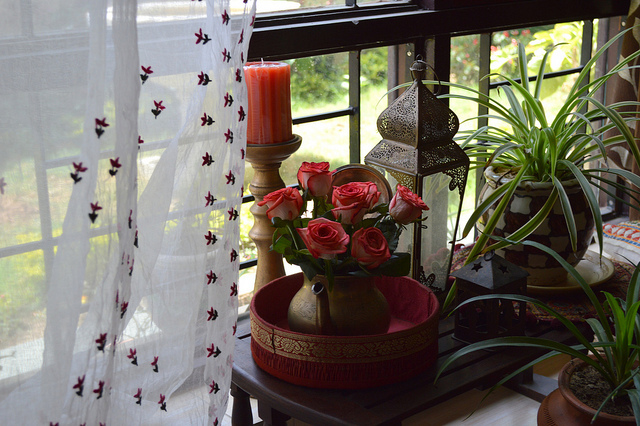 I am happy to share a beautifully styled vignette by Reshma of Love and Care. She sent me these lovely images of a corner in her home. She has used a sari which belonged to her Grandmother as a curtain. Her Grandmother wore it often and gave it to Reshma some years ago. For Reshma the sari fluttering in the breeze brings back cherished memories. I really believe that this is such a lovely way to preserve a memory or a cherished gift. I hope you are inspired to share your story with me :) Thank you Reshma for sharing your home and your story with the readers at My Dream Canvas. Images: Copyright Reshma Sharma at Love and Care. I love old fabrics. I wish they weren't so expensive because I would be using them for my quilting projects. 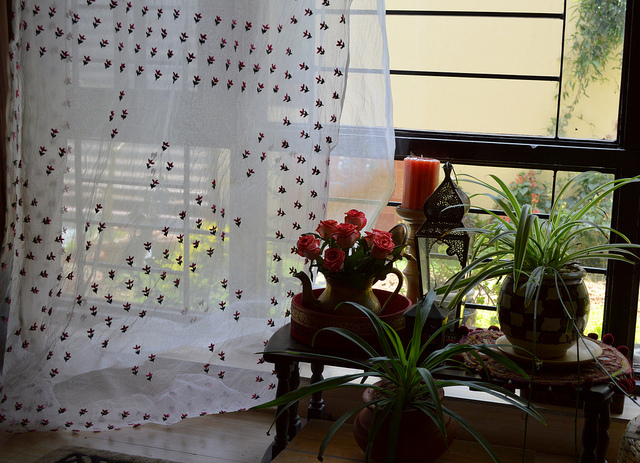 That sure is a great way of preserving memories :) The saree looks good as curtain and adds style to the beautiful corner. Like the knick-knacks too!